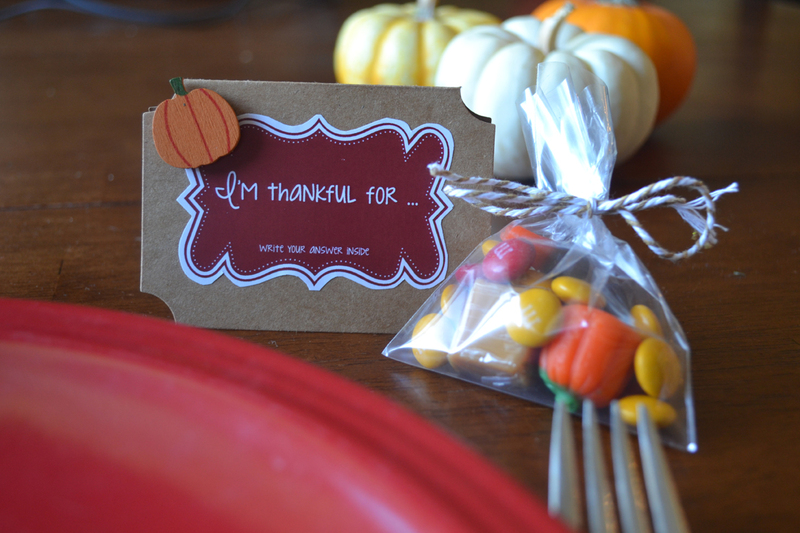 These table party favors add a special touch to your annual Thanksgiving gathering. It says to everyone present, “This day is different than most days of the year.” It’s a day when everyone stops and says thanks … for everything. 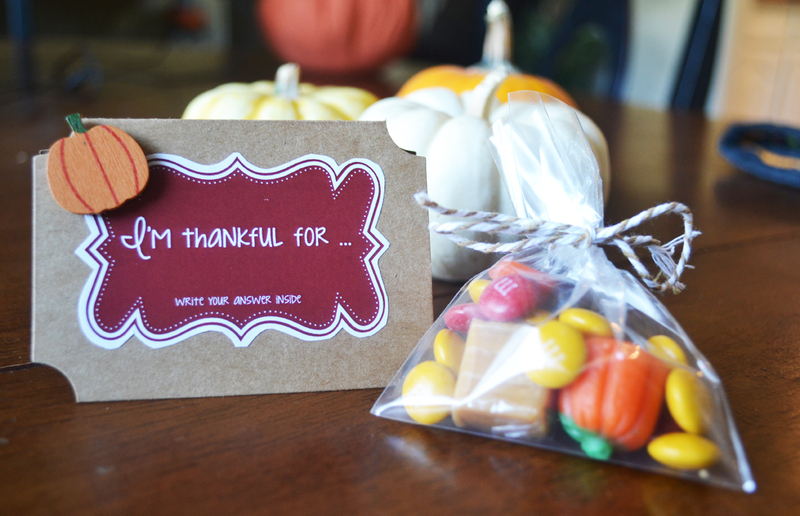 So, let’s encourage the attitude of gratitude with these classy and simple DIY table favors. Classy Thanksgiving dinner table favor. 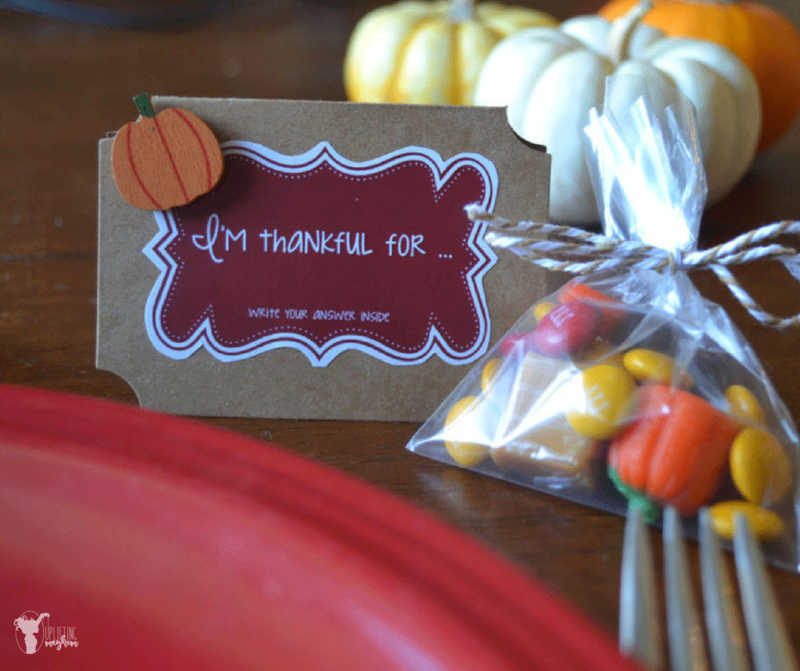 Printed and cut out FREE PRINTABLE – I’m thankful for stickers. You can send this file to your local copy store. Make sure you tell them to print these on sticker paper. 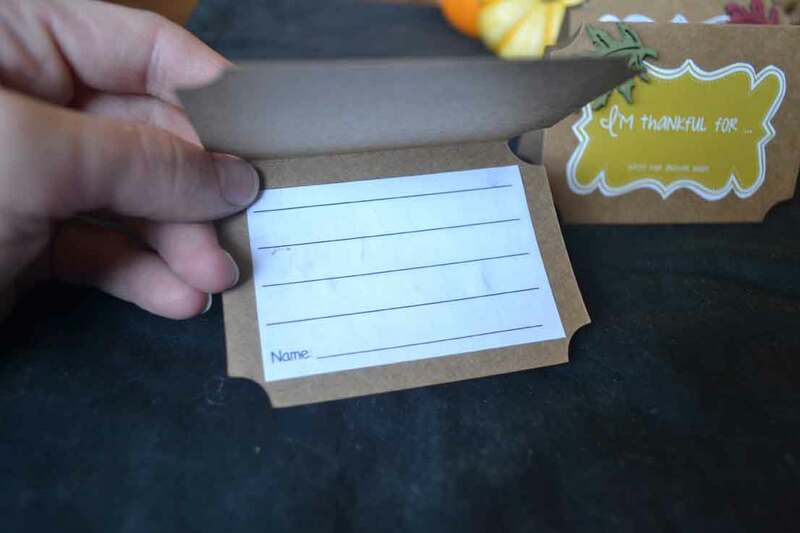 Printed and cut out FREE PRINTABLE – Interior of place card labels. I actually just printed these at home because they were so simple. 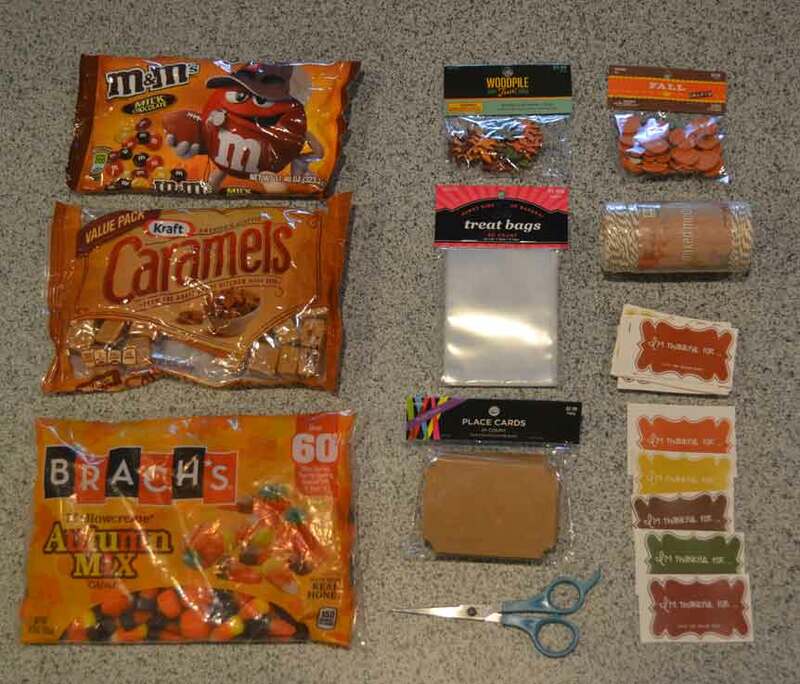 Supplies needed to make your own Thanksgiving table party favors. I chose lots of fun autumn-themed candy that just remind you of the fall time. So, naturally I bought some M&Ms, candy corn and caramels. The more sugar the better, right? 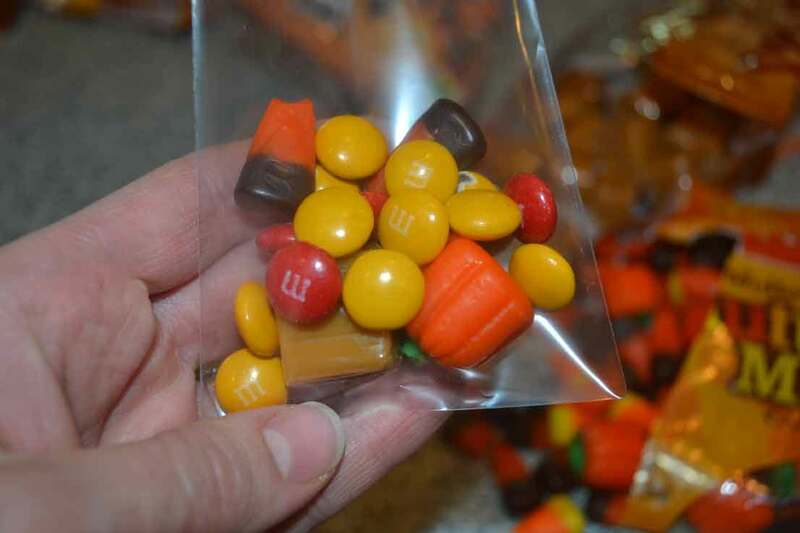 Fill each treat bag with a variety of candies. Candies for the table party favors. Then, just tie the bags shut with about 12-inch pieces of twine. 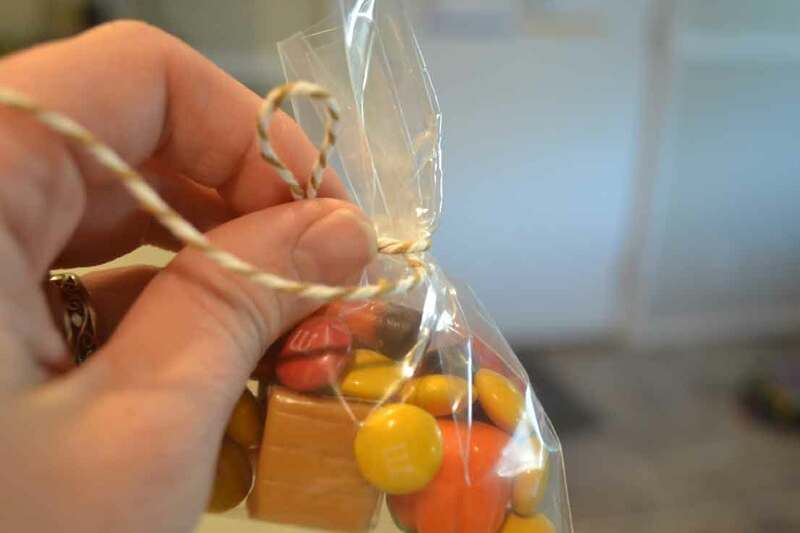 Twine used to tie each candy bag shut. 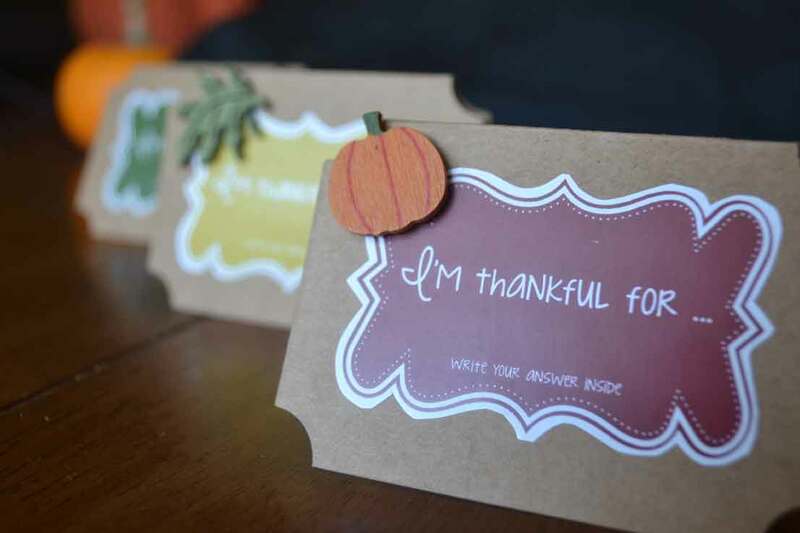 Now place the “I’m thankful for” stickers to the front of the place cards and then the interior labels on the inside of the place cards. Interior labels for the table party favor place cards. Leave some pens on scattered on the table as well. Then just watch as your guests start brainstorming all that they are grateful for. You can have a large bowl or container on or near the buffet table where people can drop their cards. Then sometime during the Thanksgiving festivities, you can pull out the cards and read them in front of everyone. It will definitely spark some grateful hearts and make you thankful for everything you have been blessed with. We hope this may inspires happy and grateful hearts to all of your loved ones this year. Happy Thanksgiving!